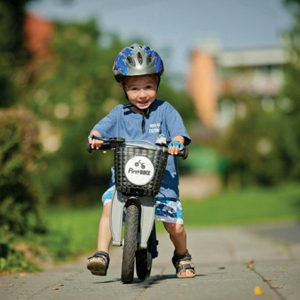 Many years ago when my husband and I bought our grandson a new bicycle the poor kid struggled to learn to ride it – especially when it came to using the brakes. Our little guy mastered staying upright on the bike but struggled with the concept of the foot brake, opting instead to simply take his feet off the pedals and drag them until the bike came to a stop. In theory that was great when he was barely moving on flat ground but a method that could cause serious injury if he ever got going too fast down an incline. As he matured, he eventually grasped the notion of proper braking and in time became an expert rider. Having brakes and not using them is not too smart and a waste of good brakes. The same argument could be made for the fruit of the Spirit which Galatians 5:22 lists as love, joy, peace, patience, kindness, goodness, faithfulness, gentleness and self-control. If we call Jesus our Lord and have the Holy Spirit dwelling inside of us – each of us already have these fruits inside of us just waiting for us to use them. Knowing we have the fruits of the Spirit inside of us and not using them is kind of like having brakes on your bicycle and not using them when coasting downhill. The gift I struggle with the most is self-control. I know that I have self-control because the Bible tells me so. As a recovering Bulimic I find when I’m faced with a stack of cupcakes at a potluck I’m as helpless as someone racing down a steep hill with no brakes. I’m powerless when it comes to cupcakes. To help with my underused fruit of self-control, I’ve adopted a habit of regularly thanking God for the gifts of the Spirit. Thanking God each day for these fruits reinforces to me that the gift of self-control is already inside of me. The more I remind myself that I have self-control, the stronger I become when I’m faced with a difficult temptation. Maturing in Christ doesn’t have to be complicated. Read the Word, believe what it says and when trials occur you can enjoy your fully developed fruit that is ripe for the picking. This entry was posted in loveNOTES and tagged faithfulness, Galatians 5:22, gentleness, goodness, I Brake for Fruit, joy, kathy kurlin, kindness, love, patience, peace, self-control. Bookmark the permalink.